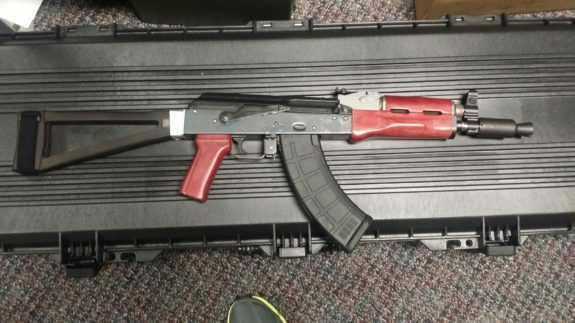 Who wants to see pictures of a prototype AK pistol from Palmetto State Armory (PSA)? Me too. Details are very sparse on the pistol itself right now but lets be honest, the real story here is that brace. It’s a folding brace that very closely mimics the classic look of AK triangle folding stocks. It appears to mount via an adapter that replaces standard stock but I can’t verify that at this time. 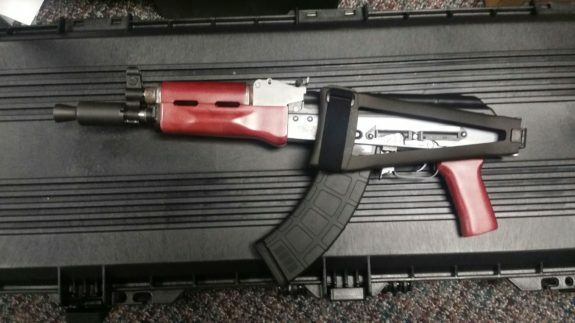 If PSA offers this brace for sale separately, they will have a winner on their hands.